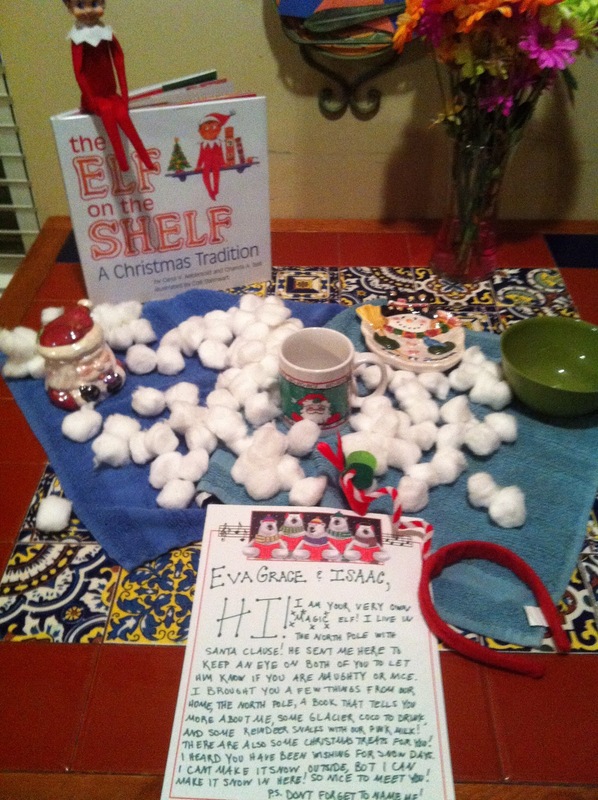 Josh and I finally gave into the Elf on the Shelf hype. 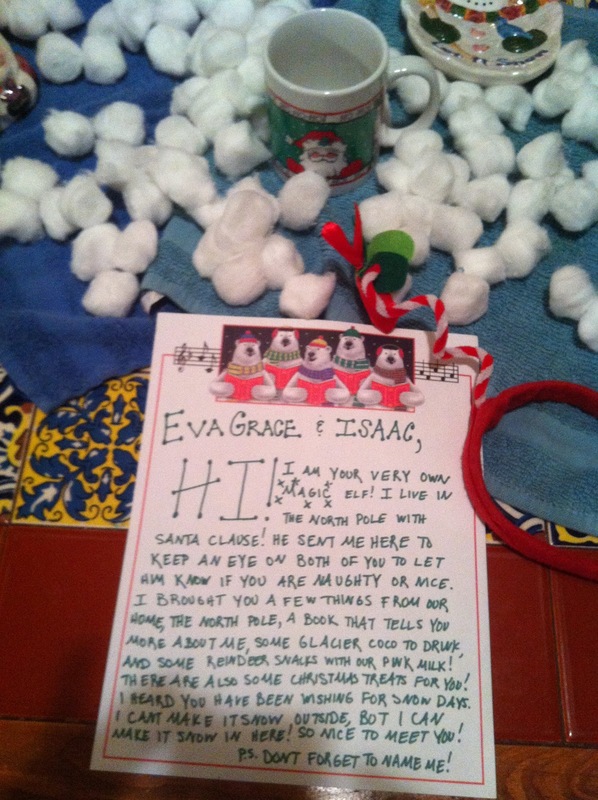 We were super excited to try it out with Eva Grace and Isaac. 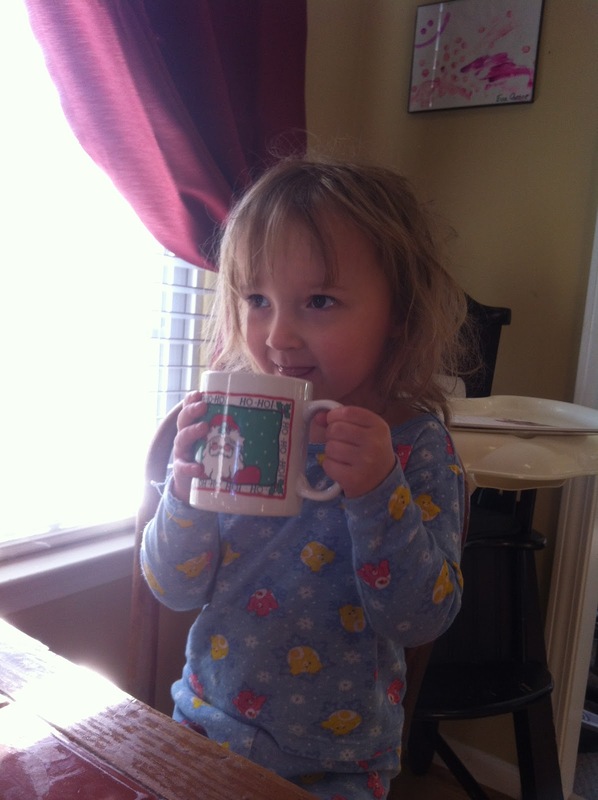 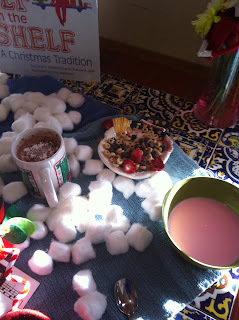 I read about a North Pole Breakfast on pinterest from this blog. 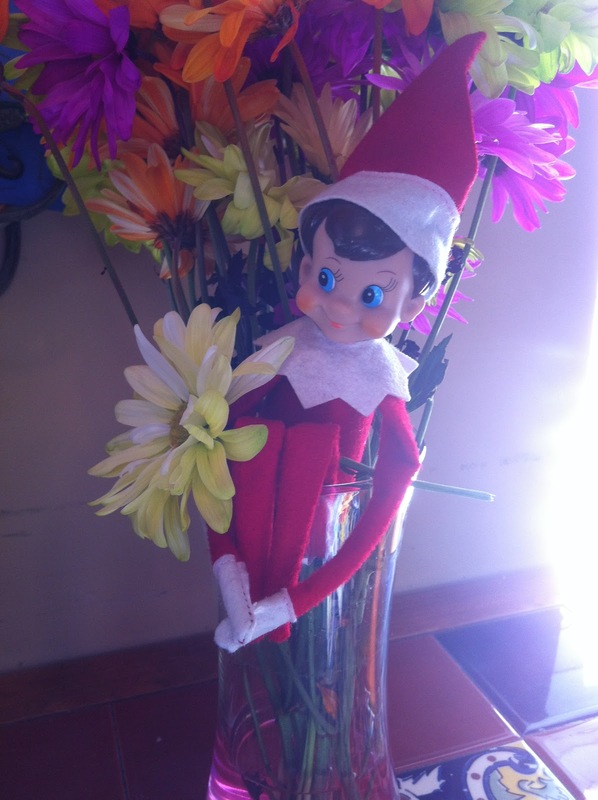 The first morning the Elf shows up, he treats the kids to breakfast from the North Pole and brings some surprises. Our elf, whom Eva Grace later named Park, wrote a letter to the kids, made Eva Grace glacier coco and reindeer cereal with pink milk, and made it snow inside! I'm looking forward to all of the places Park will hide over the next month! 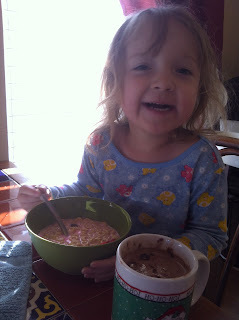 I think it's a hit!